As mentioned previously, I love Costco and Costco will always be my favorite wholesale store above all others. However, I thought I should post this for those of you who don't have a Costco in your area, but do have a Sam's Club instead. This deal might prove to be helpful for some of you, so it might be worth posting. If there's no Costco near you, Sam's Club could be an alternative. 1. Click here and click "Get Your Offer"
2. Share offer via Facebook to receive the bonus $5 Sam's Club Gift Card and follow the on-screen prompts. 3. You'll receive an email which will contain a unique voucher along with further instructions to activate this offer. 4. 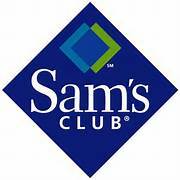 Visit your local Sam's Club at the Member Service Desk with the voucher that was emailed to you. Renew or start a new membership to receive Gift Card(s).